It almost goes without saying that the experience of shopping for a second-wedding dress differs dramatically from the inaugural experience. The two are as different, you might say, as black and white. 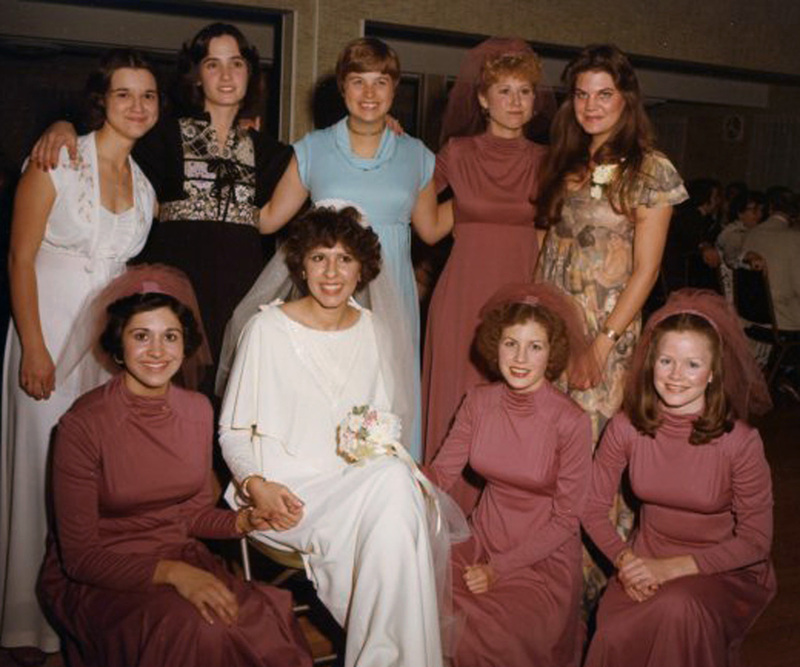 In 1977, as a rookie bride-to-be, an entourage accompanied me on this cultural rite-of-passage: mother, maid of honor, and three bridesmaids. They attended me with the sort of devotion and diligence that acolytes reserve for royalty. They were as solicitous as a bevy of Pippa Middletons. I and my entourage laid claim to Maryann’s Bridals in Lorain, Ohio, with the unbridled enthusiasm exhibited by women who, one would think, had never shopped before. We squealed. We sighed. We preened. We vamped. After several hours, we departed triumphant, a jumble of Qiana, tulle, and sequins in our wake. This is what being a bride for the first time is like. This is what it is like on your wedding morn, too. I remember driving to Cleveland on the day of my divorce, 26 years later, painfully mindful of the disparity. When you get married, you do it surrounded by loved ones. When you get divorced, you do it on your own. I was not alone, however, when I shopped for my second wedding dress; my fiancé accompanied me, in defiance of all superstition. It was a gray, rainy afternoon, and we had just left his younger son’s rugby game. The drive took us past Catan’s—“America’s Largest Bridal Salon”—in Strongsville, Ohio. It was late April, the wedding was less than four months away, and I was quietly panicking. A dress I had ordered online looked gorgeous on the website. On me it was matronly; I felt tired and washed-out looking in it, like week-old champagne. Fun? Let me tell you something about shopping for a wedding dress on a rainy day when you are 54-years-old. It is, in a word, ridiculous. But John actually enjoys shopping, especially for me. In that enclave of satin, lace, and tiaras (which might as well have had a “Women Only” sign over the door, or, in my case, given my trepidation, “Abandon Hope, All Ye Who Enter Here,”) he was my doting entourage. I had already decided that I was not going to wear white or ivory, and I was far too mature for the traditional gown and veil. My choices were limited to the “Mother-of-the-Bride” and “Special Occasion” departments and hampered by an extremely modest budget. Truth be told, there were times when I thought it might be wiser and less stressful for us to elope, but this wedding was far too special to me to put a gloss on it. It marked the beginning of a new, midlife life, with the kind of man I always dreamed of but never thought I’d meet. I wanted to make a meaningful entrance into this fresh, second-half of my time on this earth, and with as much elegance as I could gather around me. We had, in fact, agreed that a traditional ceremony, with as many of the trimmings as we could afford, would be a lasting memory for our sons, and symbolize for them the new family that we were fashioning. Yet, as ridiculous as being my age and shopping for a wedding dress (or, more precisely, a dress in which to get married) seemed, it also represented something exhilarating and somewhat paradoxical, given the circumstances: freedom. I was, forever, no longer 21. The princess-bride fantasies I once harbored had long since been relegated to the remainder bin. If I wanted to wear my favorite color, I was free to do so. Yes. The dress suited me. And, winking at superstition myself, I peeked out of the fitting room to find John. Yes. The groom saw the bride in her gown before the wedding. And so far, they’re living happily ever after. *There’s a marvelous François Truffaut film from the late 1960s called The Bride Wore Black, starring the exquisite Jeanne Moreau, the plot of which has nothing whatsoever to do with my own story. Luckily. Nice story — where is the photo of you in this wonderful black dress? (Oops there it is — just was taking a while to load. A lovely bride and completely appropriate! Thanks so much, Susan! I might need to remove the photo and replace it with a smaller file if others experience problems; thanks for alerting me. and you were beautiful in both. those awesome ladies in the picture love you more than you know. we are Sisters………. Awwww….Cindi. You’re a sweetheart. Thanks so much for your comment, and for reading the blog! Love this post, Marci! I assume that’s your son walking you down the aisle…and the shot of you surrounded by your first-wedding-bridesmaids… precious. But most of all, I love your description of the shopping excursion with John. That he saw you in the gown before the wedding… yes, of course, and how appropriate. Because he saw you–because you truly saw one another before the wedding, truly knew each other before the wedding–the marriage begins in a wonderful place. Thanks for posting this. Anne, thank you so much for your lovely thoughts about this post! I’m glad that it spoke to you. P.S. 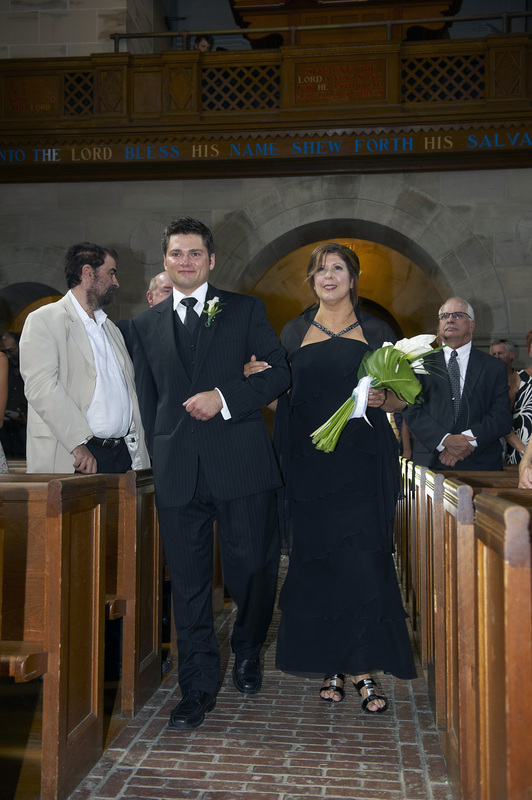 to Anne: Yes, that is my wonderful son Matthew walking me down the aisle. What memories….Marci – you are so gifted with words. Ahhh…Mary! My maid of honor, at BOTH of my weddings! Thank you for your kind words, dear.